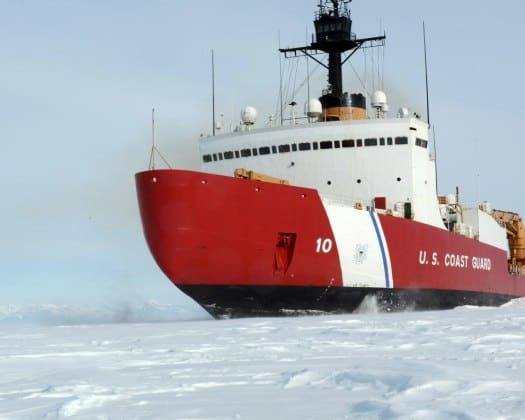 This week, Florida’s two U.S. senators asked the U.S. Coast Guard (USCG) to keep a polar icebreaker program timeline in place for 2023 even as other nations–namely Russia and China–grow more active in the Arctic. “The United States has not commissioned a new heavy icebreaker in decades, while other nations laying claims in the Arctic maintain healthy fleets. The USCG is expected to award an acquisition contract to begin construction on these vessels in the near-future,” Rubio’s office noted. “While the United States’ icebreaking capabilities have remained stagnant, Russia and China continue to advance policies and infuse resources into capitalizing the Arctic, including through the construction of additional icebreakers and intensifying economic relations across the region,” the senators wrote. I am concerned about the direction the democrats want to take this country and I hope your amendment goes thru. Thanks for fighting for our country . The money for this wall must come from some place. This wall is made of steel and bears the USCG seal. How will this be financed ? Senators Scott and Rubio: Is there money in the budget ?